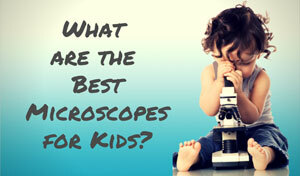 The Celestron 44320 is more than just a microscope. 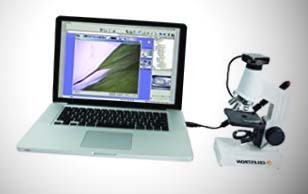 It's a complete digital microscope kit that includes a digital camera, software, and three prepared slides. At under $100, it's a low-priced introduction to digital microscopy. This Celestron Digital Microscope Kit contains one of the most affordable microscopes that Celestron offers, and the digital camera feature sets it apart from other equipment in the same price bracket. Customer contentment with the Celestron 44320 is mixed so you may want to do your homework and consider your needs before investing in this microscope. The digital camera on the Celestron 44320 microscope is probably the feature that users like most, as it makes it easy to capture images and enhance them. With a digital camera, multiple users can view specimens at the same time. A nice selling point if you know it's going to be shared among your kids! The digital camera can also make video recordings, and allows you to zoom in on a specimen as close as you want to get. Image quality tends to go way down whenever users zoom in. The camera is also screwed into place, which makes it harder to move and adjust. The microscope slide set is another handy feature. Customers can view three prepared slides, a mosquito head, a cross-section of some bamboo, and silverberry hairs. The product also comes with rocks and a honeybee wing for further investigating. 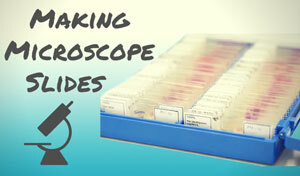 The prepared slides make it easy to set up the microscope and get searching for something worth seeing. The user can always opt to purchase some blank ones and start making their own slides as well. A simultaneous selling and detracting point is the price. 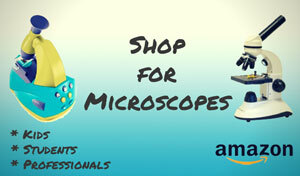 This is a low priced microscope, so it fits into most budgets. Of course, at under $100 you're not going to get amazing magnification and loads of features, something that seems to disappoint many. That said, we found the magnification even at the lowest setting to be pretty good. The Celestron 44320 only weighs in at twenty-two ounces, so it isn’t cumbersome to move as needed. The downside is that the plastic body feels cheap compared to other Celestron models. 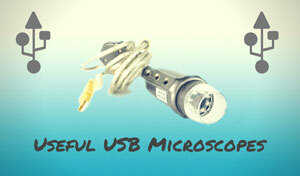 The biggest complaint of the Celestron Digital Microscope Kit is the digital camera software. Many customers have reported issues loading it onto their Macs. The software works best with Windows XP or Windows Vista. Customers with Windows 7 find it a challenge to load the program. The Celestron 44320 microscope is not a bad piece of equipment for the price that you pay for it. It's important to keep your expectations reasonable; this is only a $70 microscope we're talking about! The optic lenses are very good if you are looking at one of the included slides or one that you made yourself. In that respect, the microscope certainly does what it claims to do. The digital camera feature may be tricky to load and will take time to perfect. 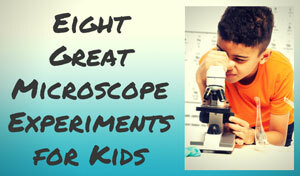 Once you get past that, you will find a microscope that fits many common viewing needs. The Celestron 44320 microscope isn’t terrible for the price you pay, but if you want high power and clarity, you will be disappointed. Recommended for: The Celestron Digital Microscope Kit is best suited for home users who want to explore the microscopic world. The controls and plastic body may be difficult for younger children to utilize. It is probably best reserved for children who are twelve and up. 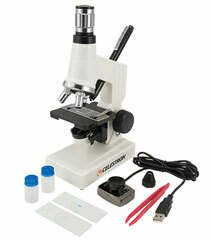 The Celestron 44320 Microscope can be affordably purchased on Amazon.